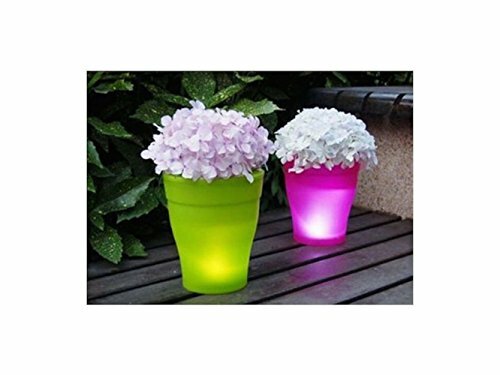 SALE Solar Illuminated Planter (Pink) Led Lighted Solar Flower Pot Lamp Urn Decorative Garden Led Plant Pot Modern Planter Vase by Youphoreah at Tulips Orchids. MPN: SGP-263-P. Hurry! Limited time offer. Offer valid only while supplies last. By day, it's an elegant, frosted planter. At dusk, the show begins as it illuminates from within. Solar-powered; no outlet or extension cord needed. If you have any questions about this product by Youphoreah, contact us by completing and submitting the form below. If you are looking for a specif part number, please include it with your message.